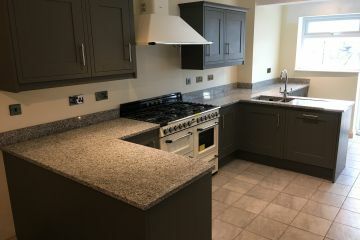 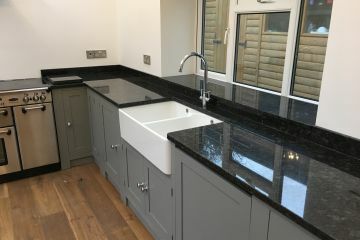 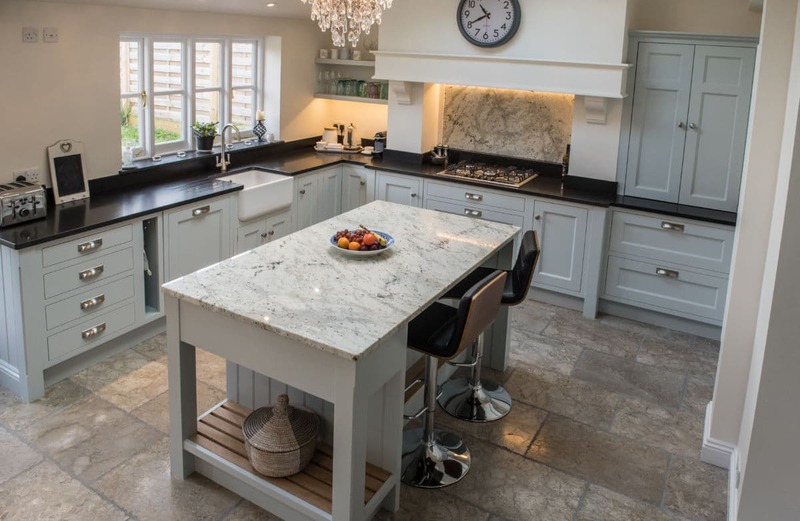 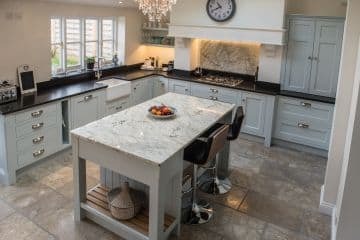 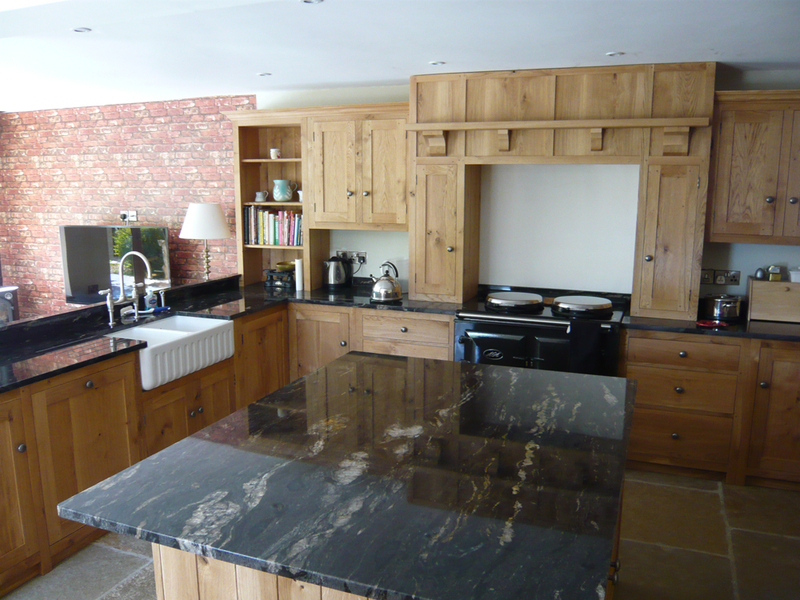 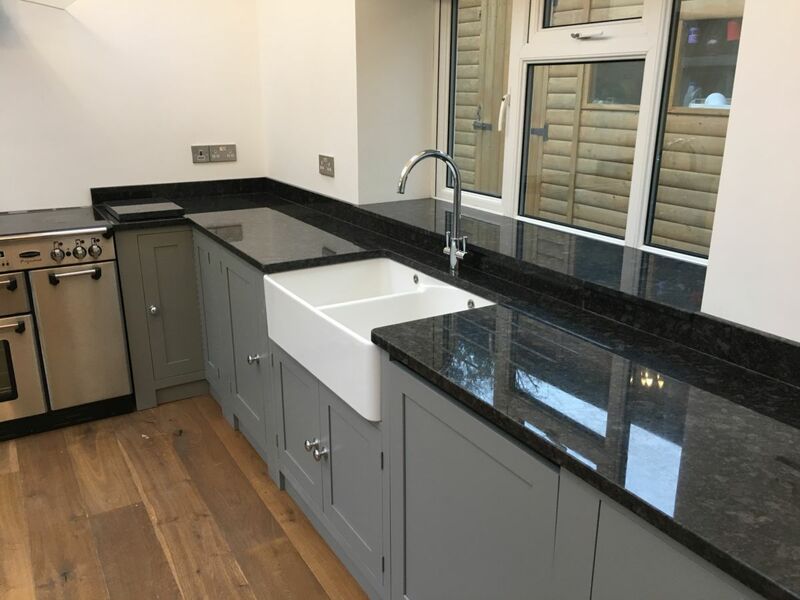 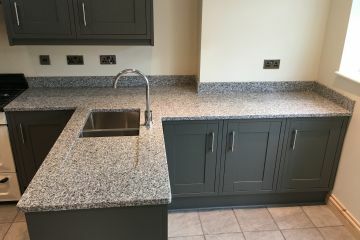 The varied tones of granite can bring together the colours of your units and floors and offers a beautiful work surface that will last the life of your kitchen. 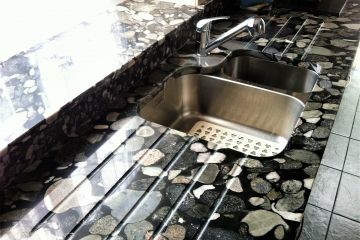 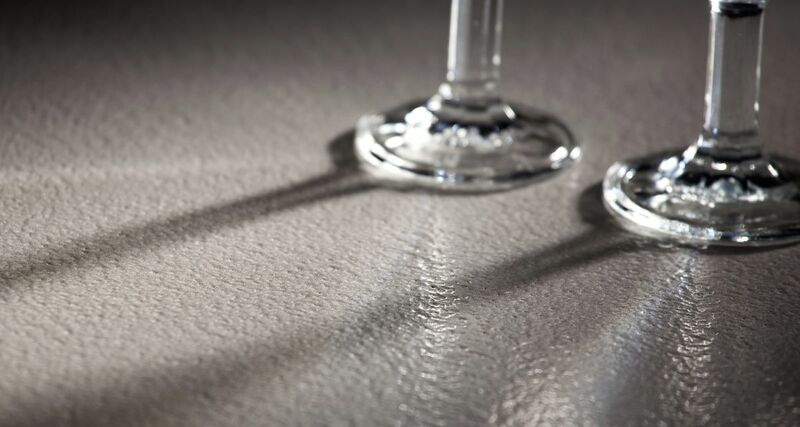 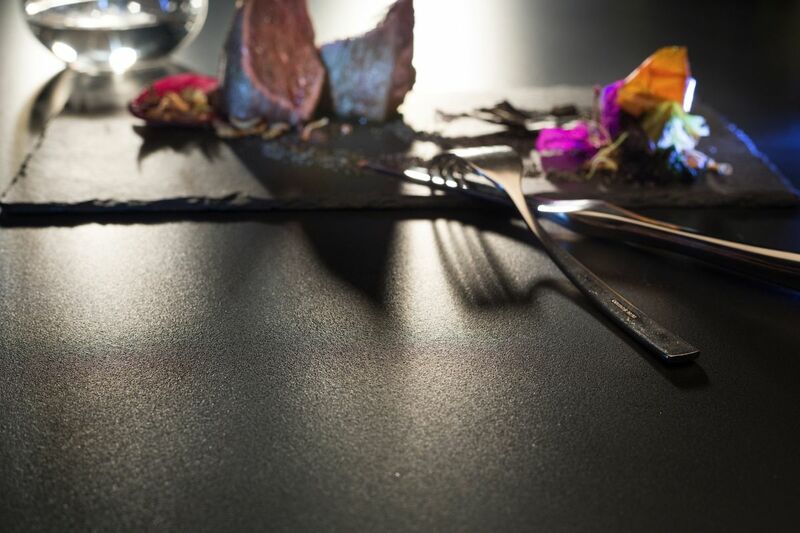 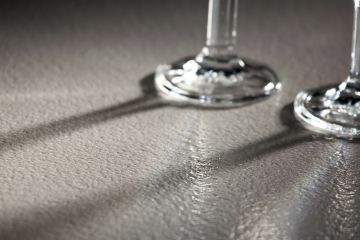 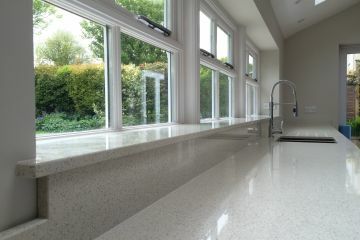 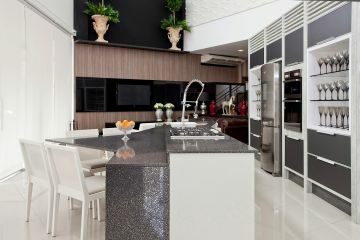 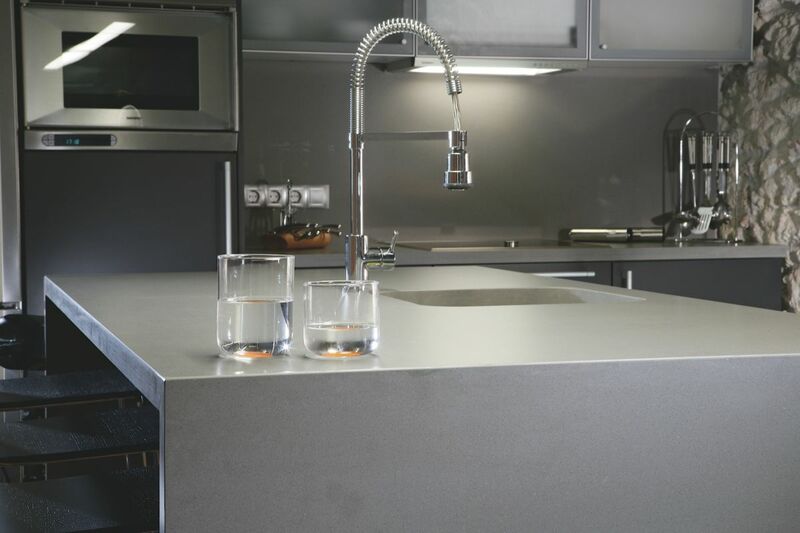 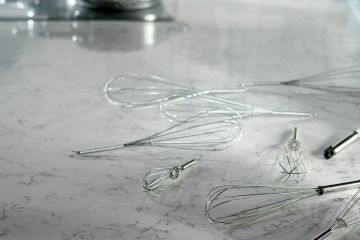 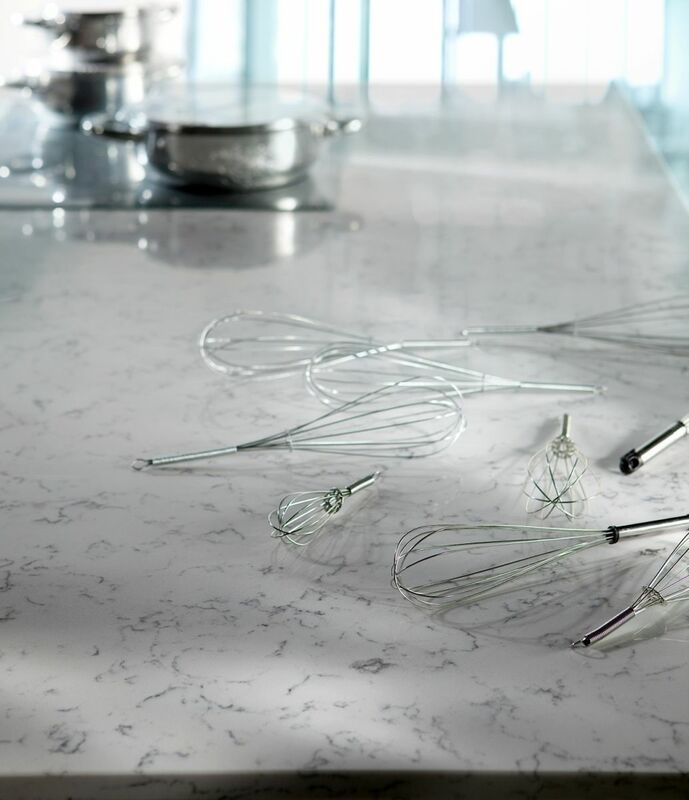 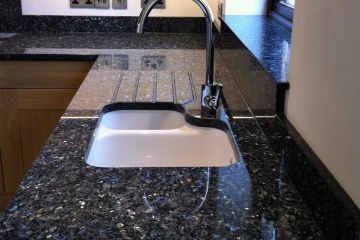 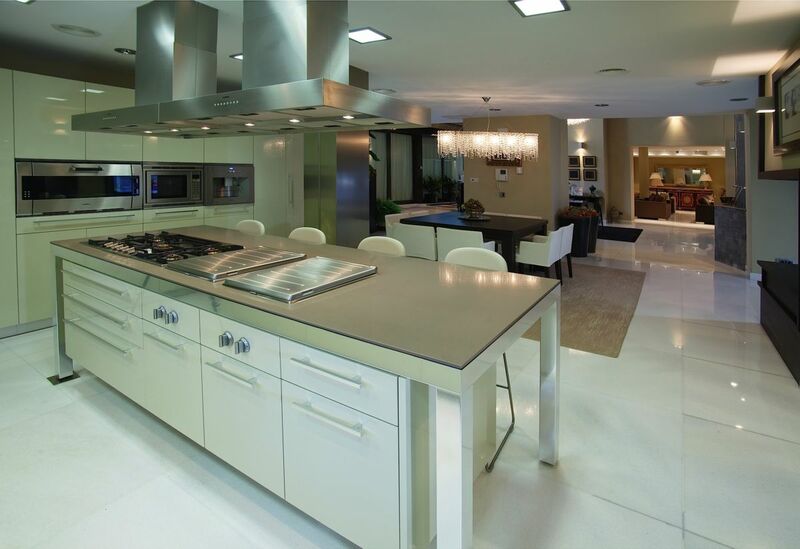 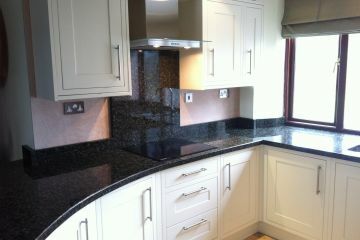 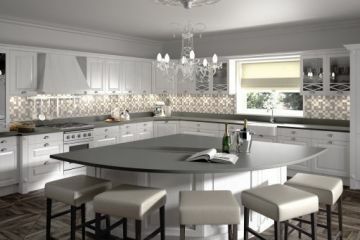 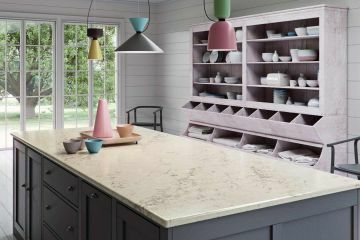 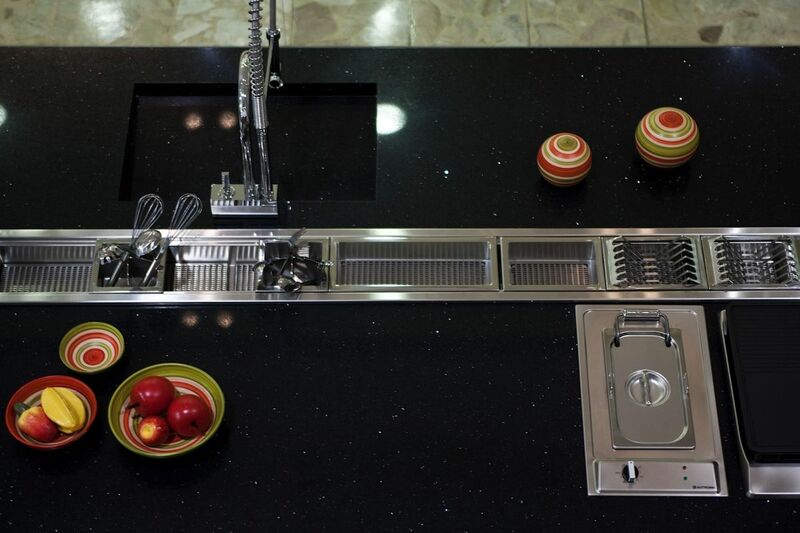 Quartz surfaces offer a wider range of colours with some available in matt or textured finishes. 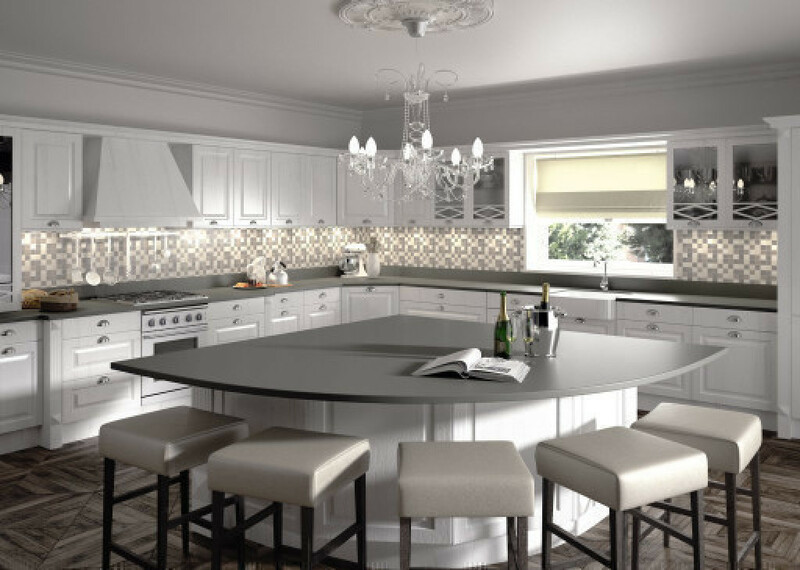 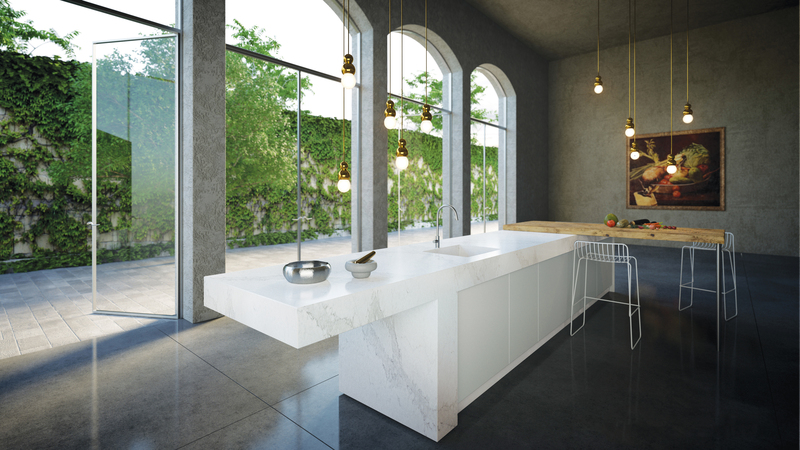 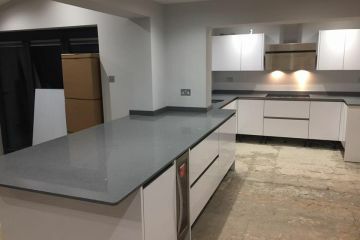 It is ideal for achieving a contemporary look with clean white or soft grey tones, as a hard wearing alternative to Carrara marble or for eye catching sparkle. 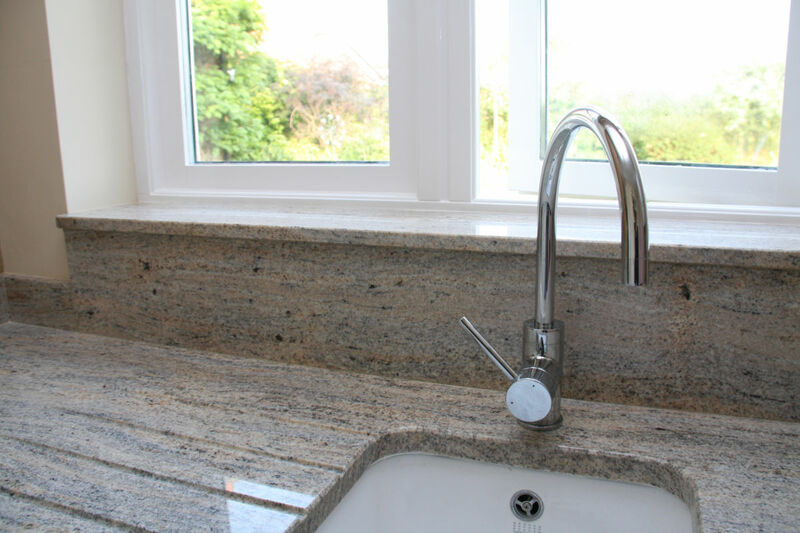 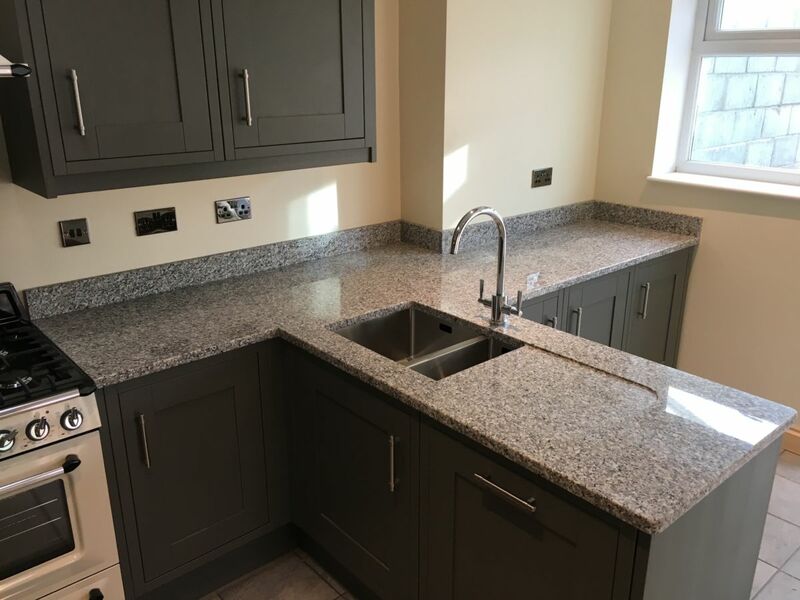 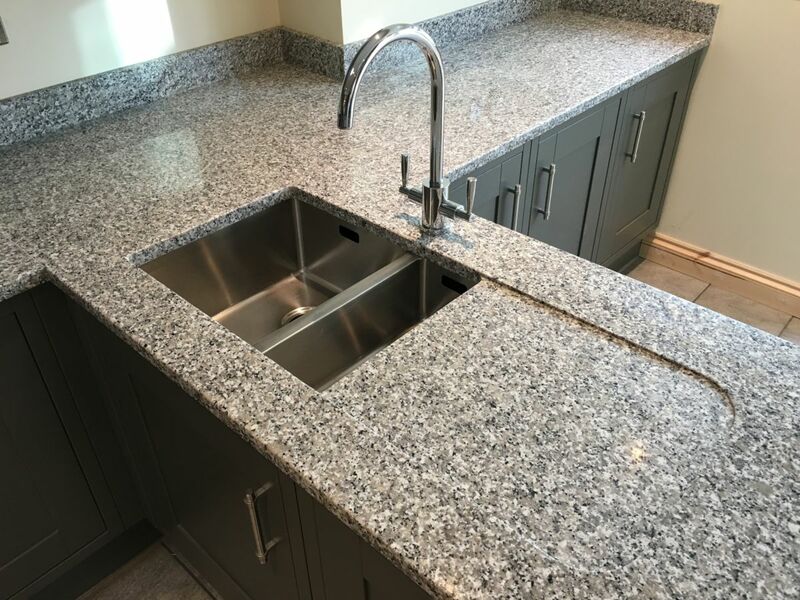 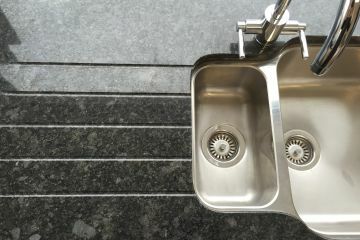 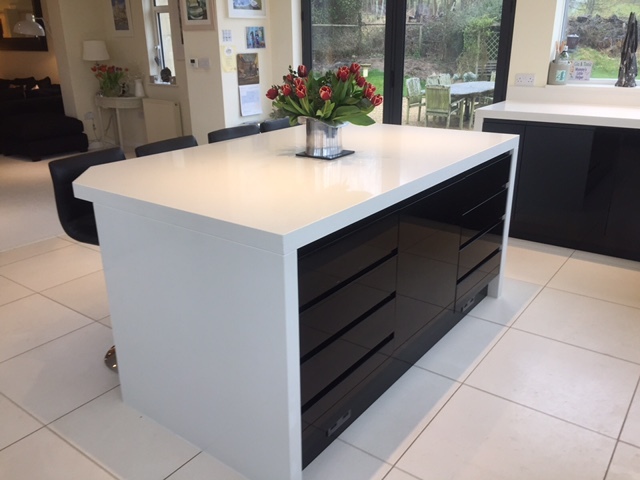 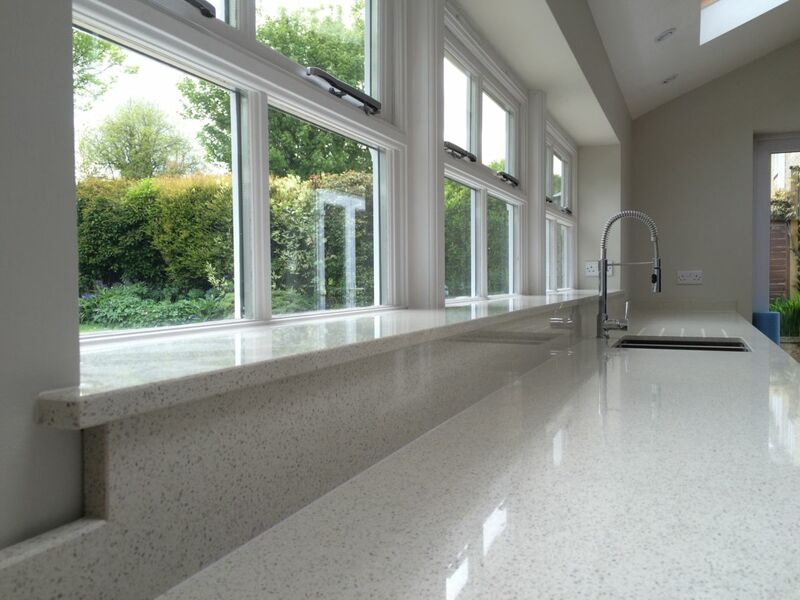 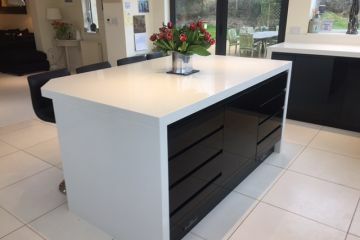 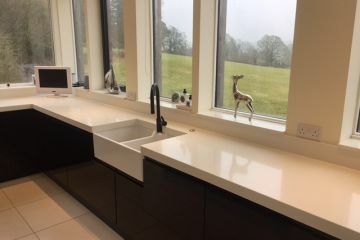 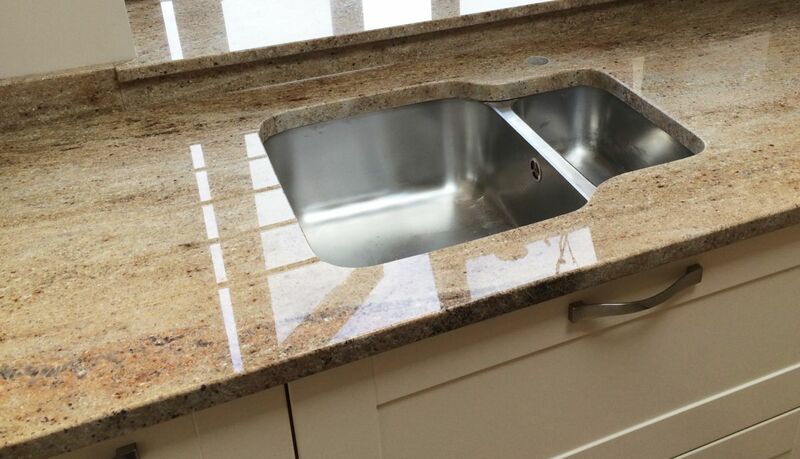 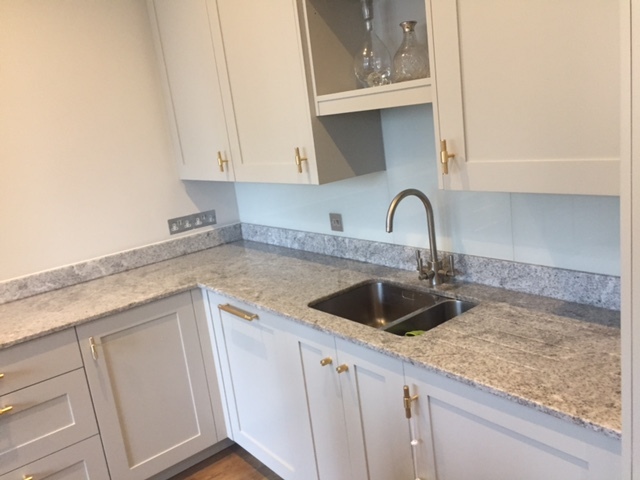 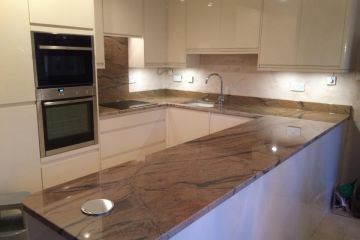 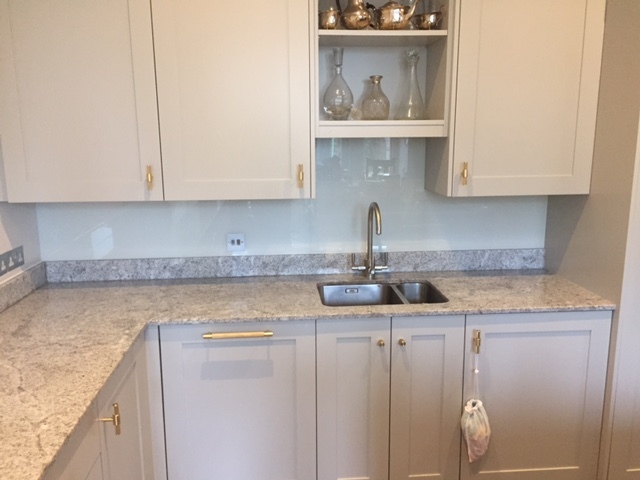 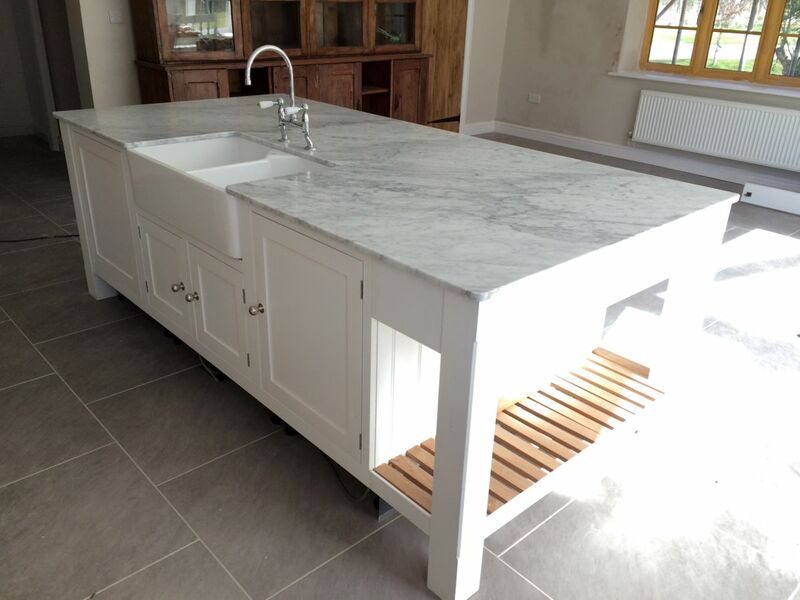 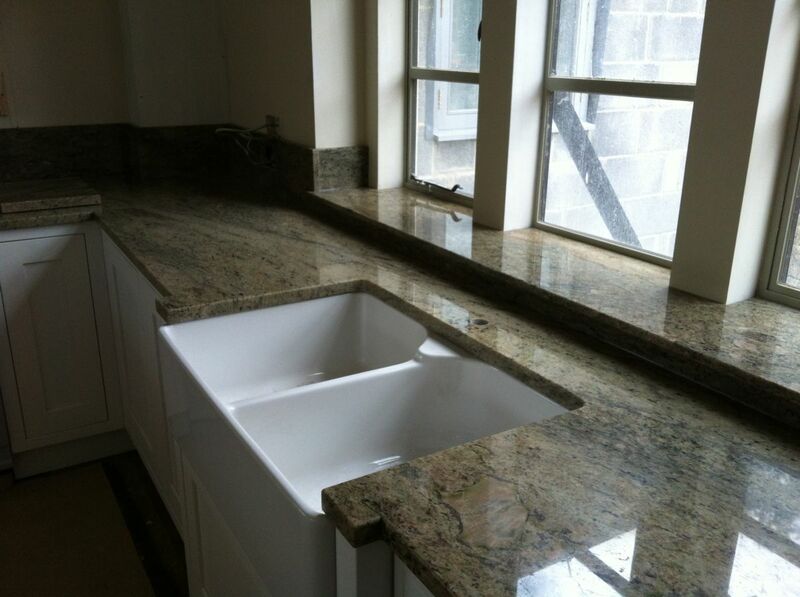 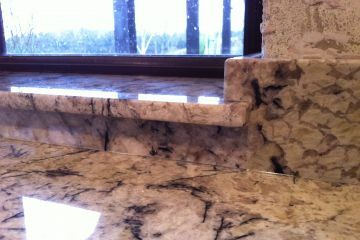 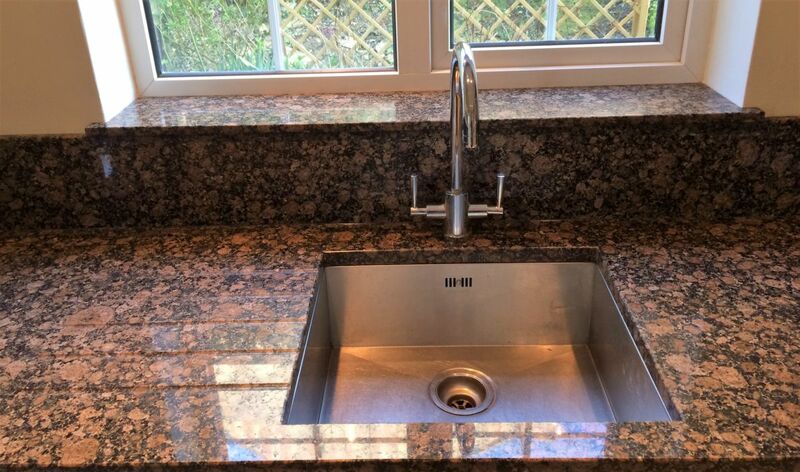 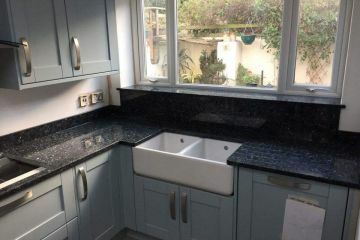 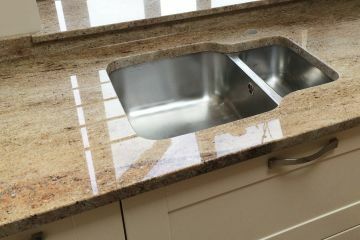 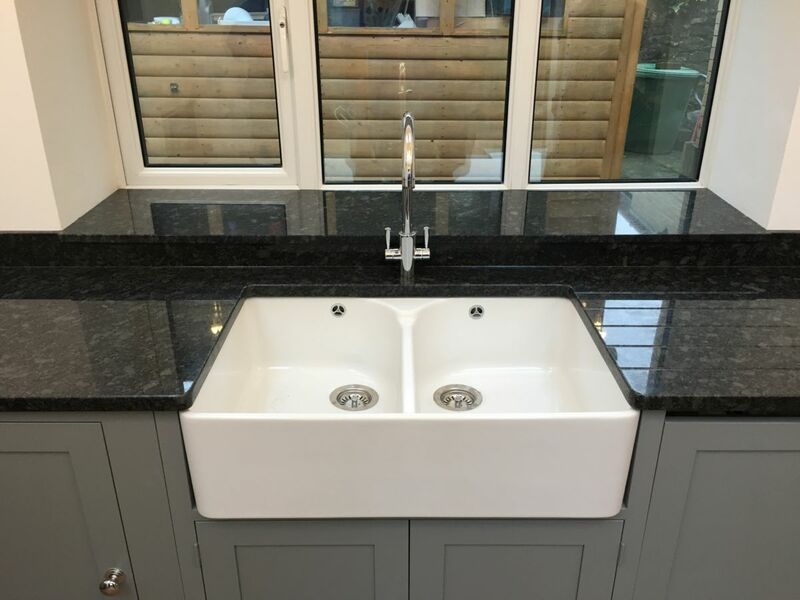 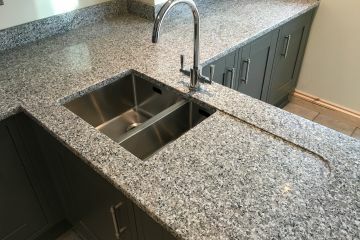 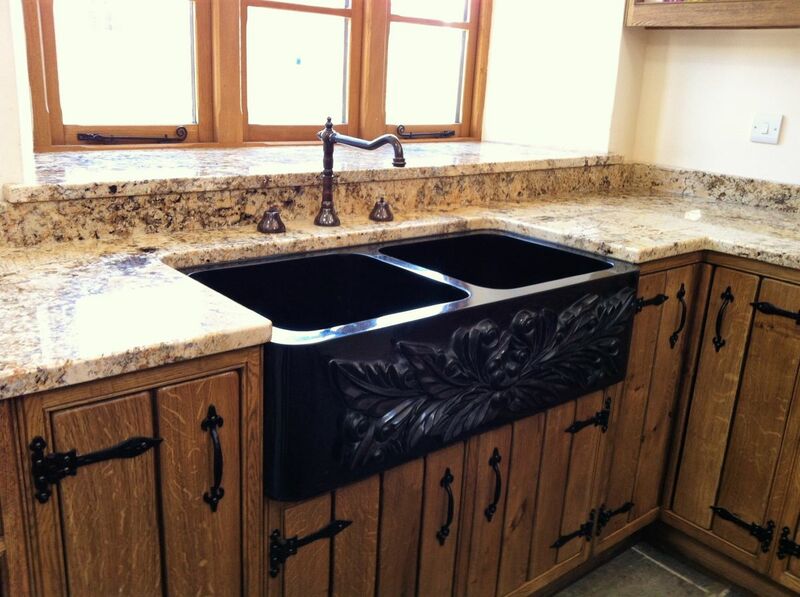 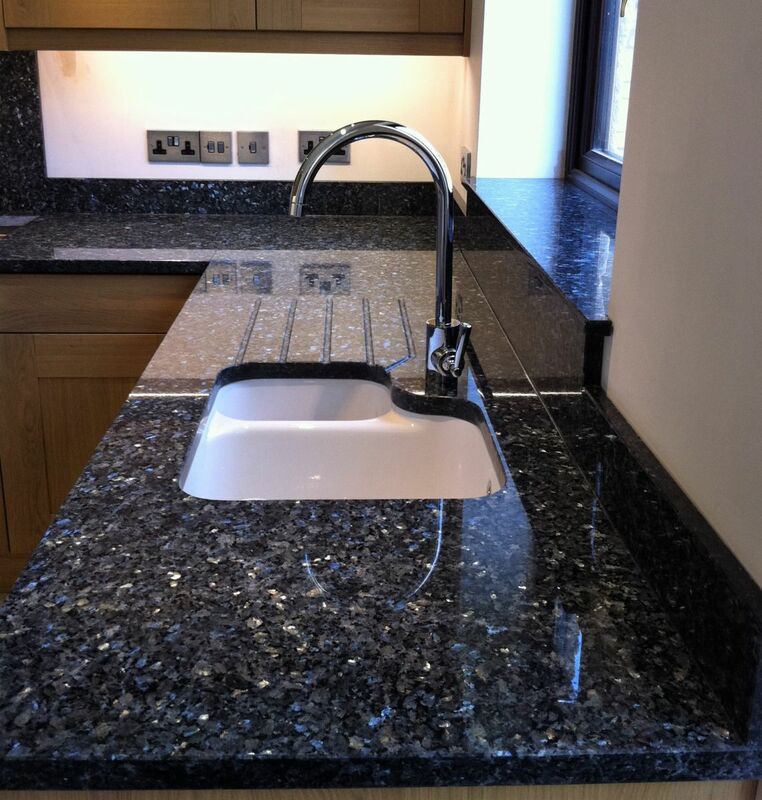 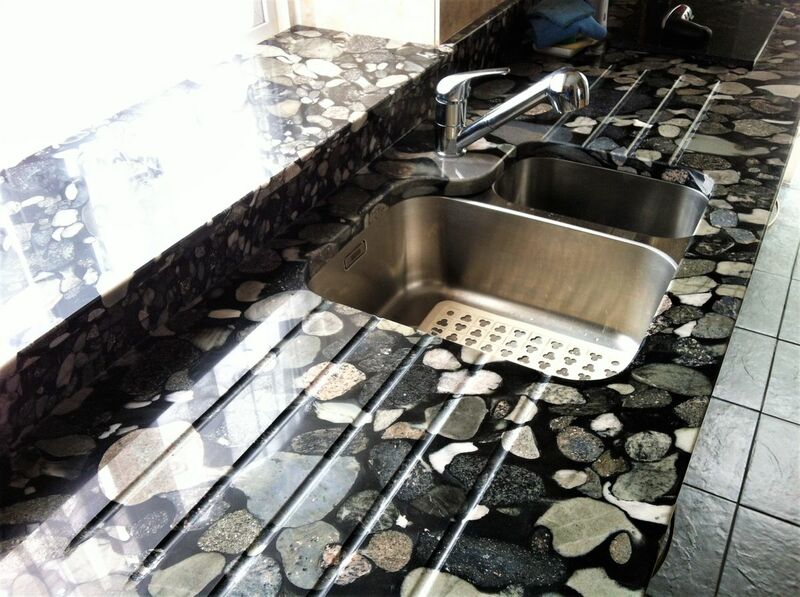 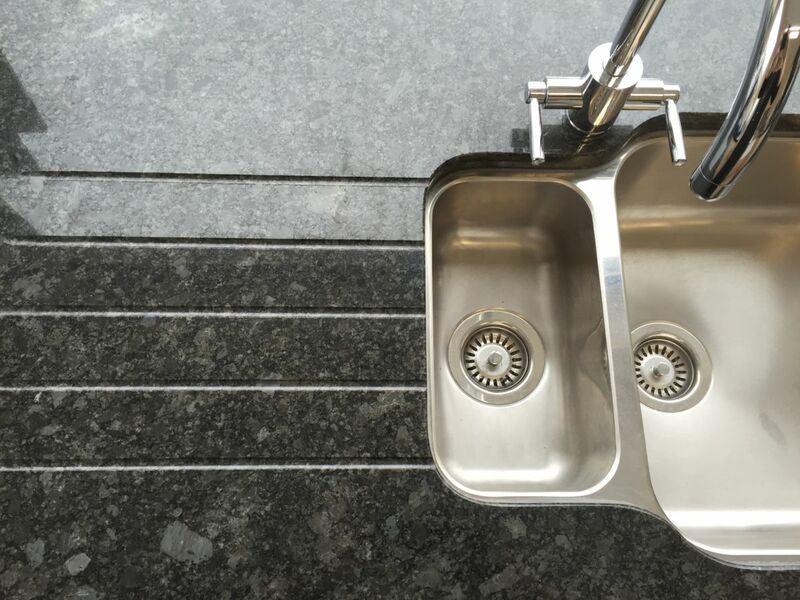 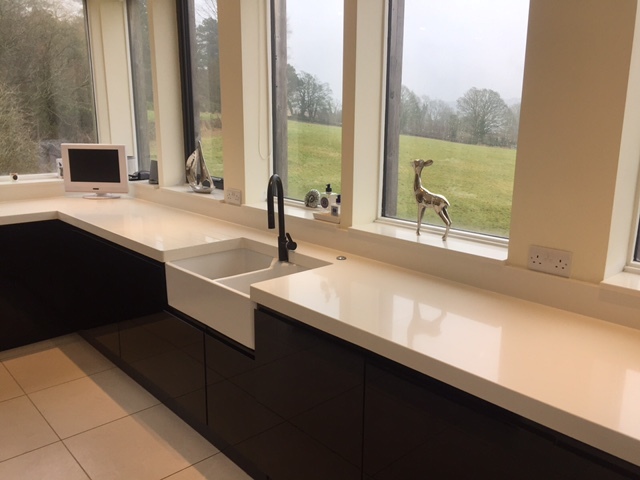 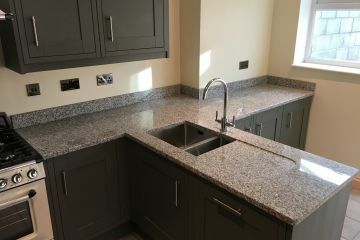 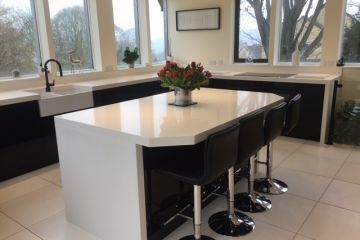 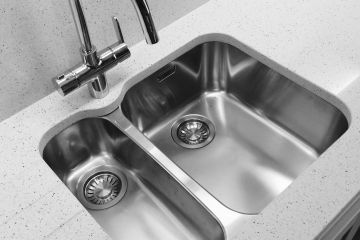 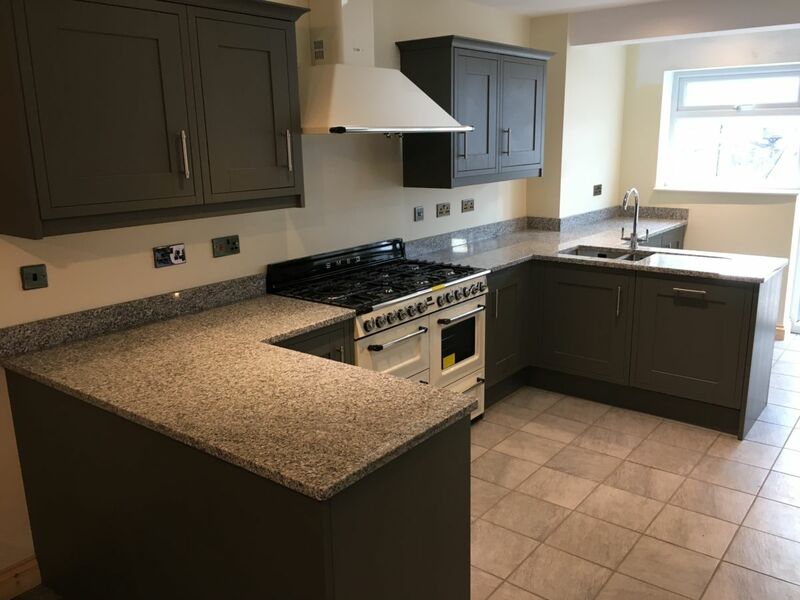 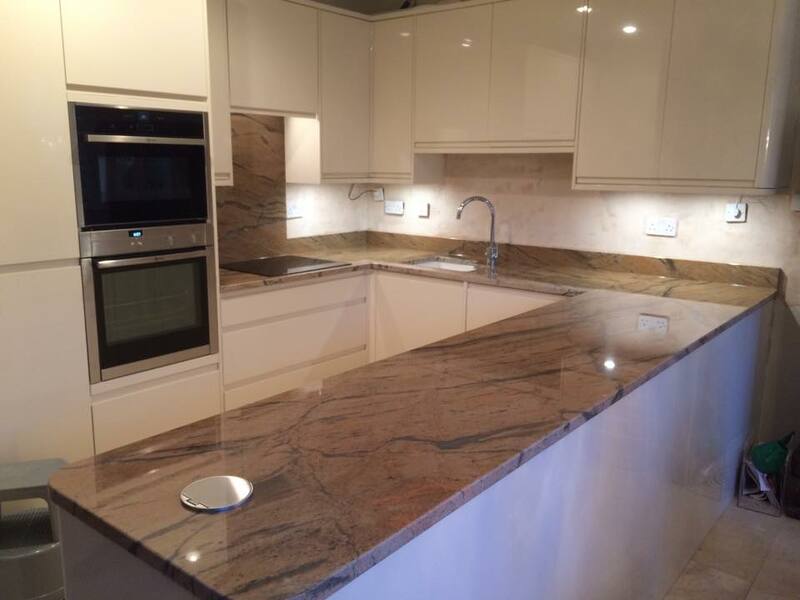 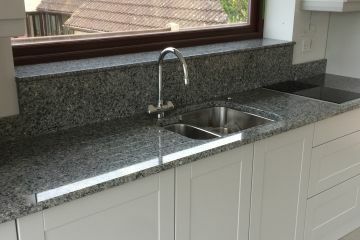 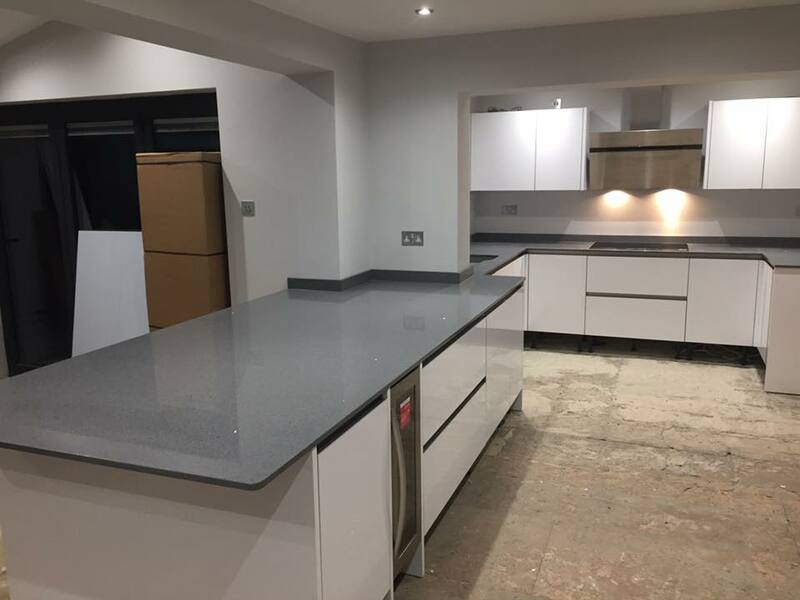 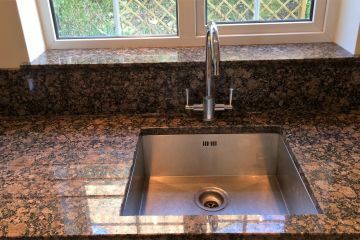 Whether you choose granite or quartz, our bespoke finishing service offers features such as upstands, splashbacks, sills and pop up sockets completing a sophisticated look tailored to your exact requirements. 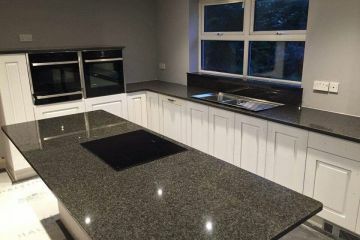 Material Selection: Once you have chosen the colour of your ideal material, we can offer a quotation from a plan of your kitchen layout (this doesn’t have to be to scale). 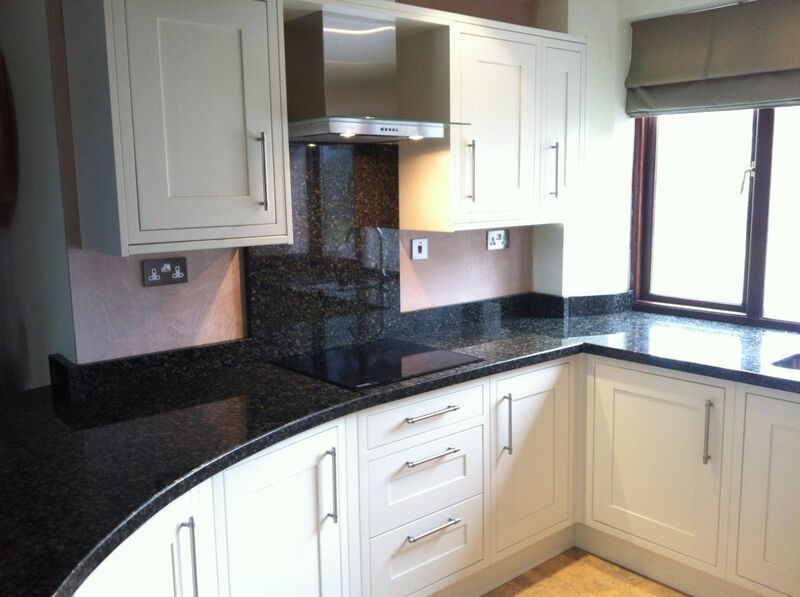 We are available to help with advice on appropriate material choice as well as colour options. 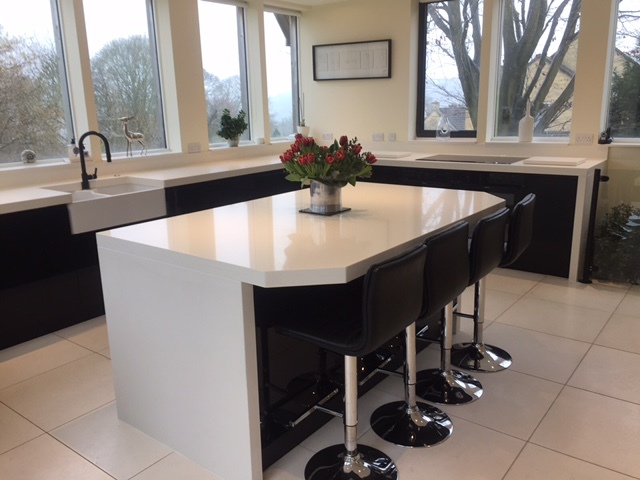 Our showroom is available Monday to Friday 8.30am to 5.00pm and until 12.30pm on a Saturday. 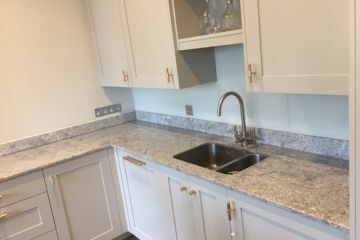 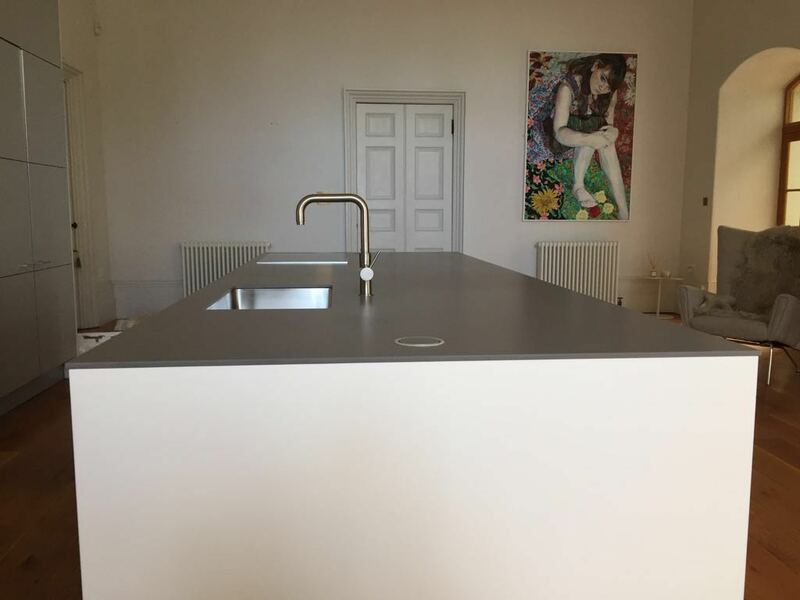 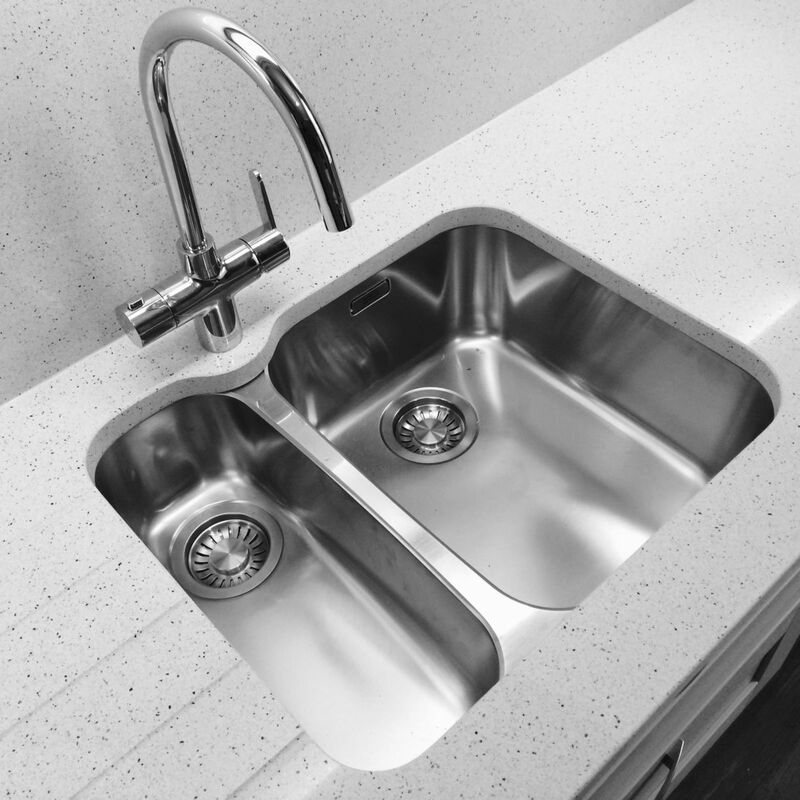 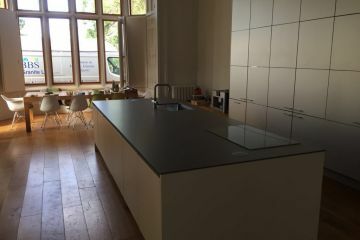 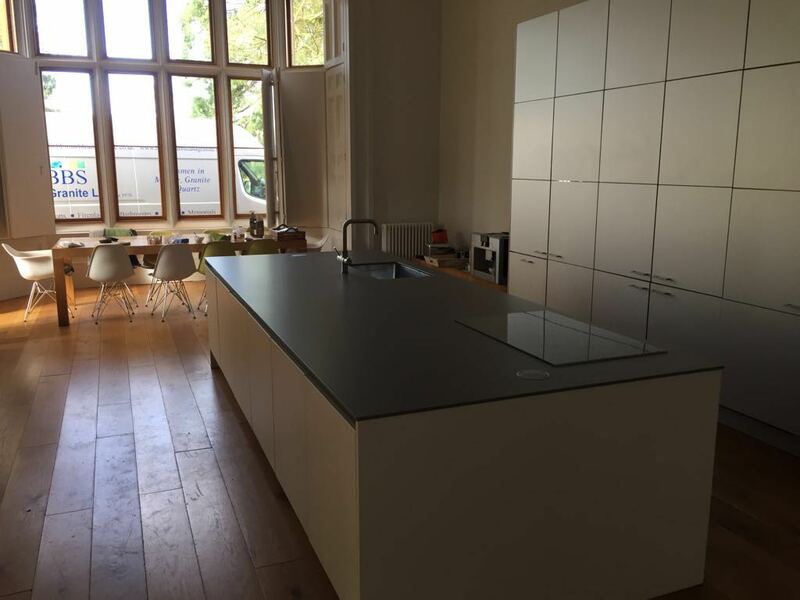 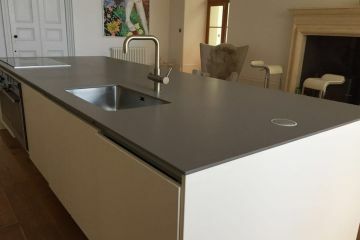 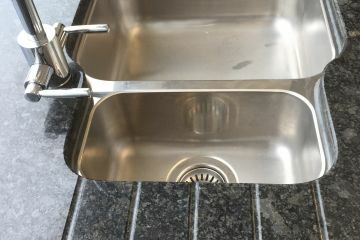 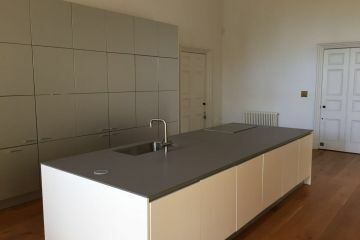 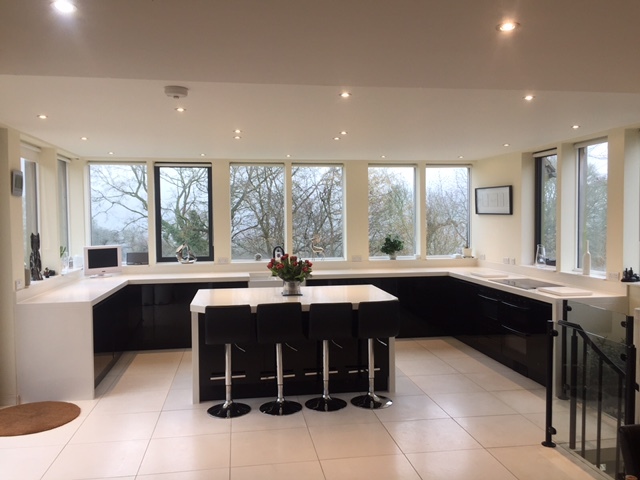 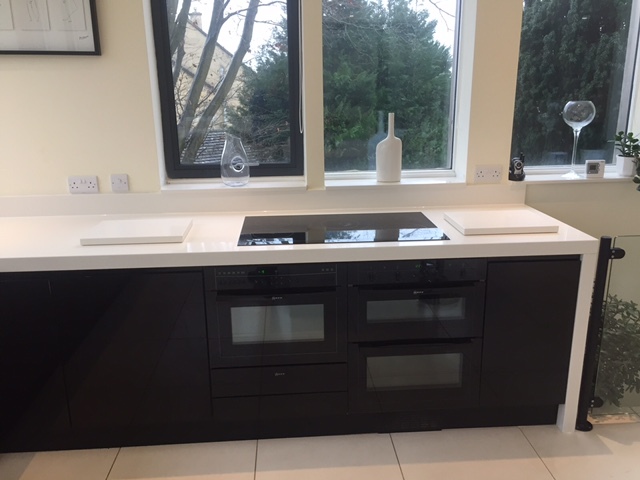 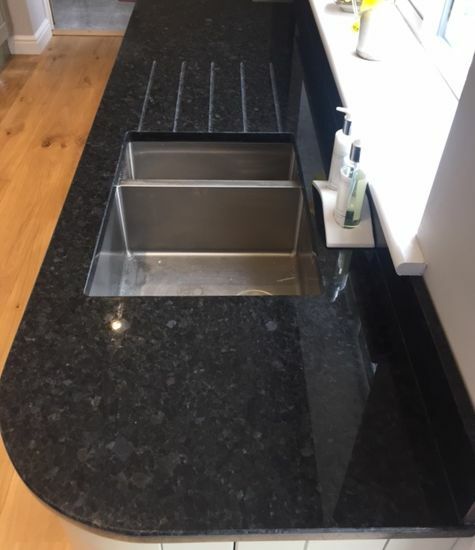 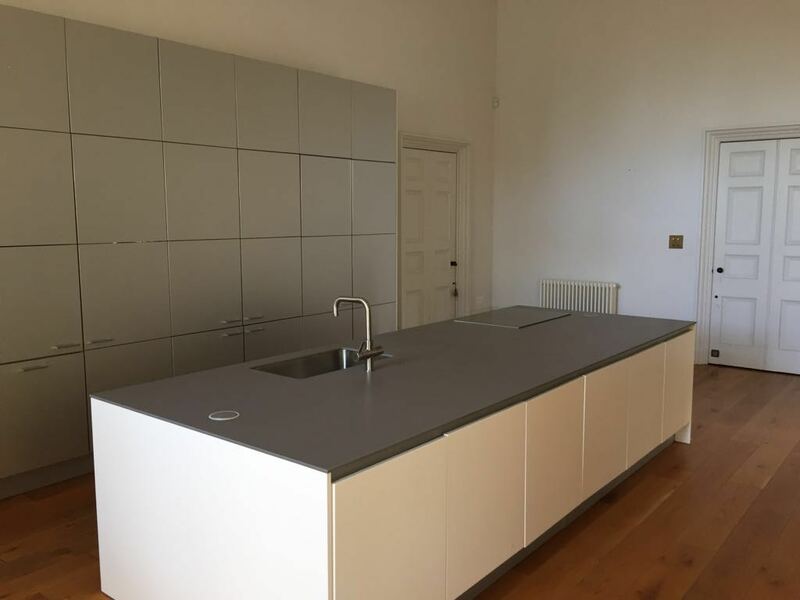 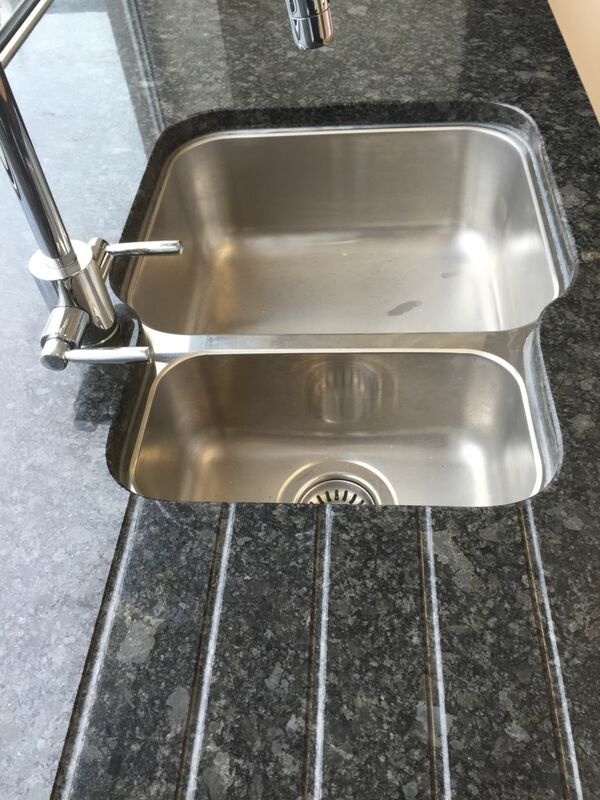 Template: Your kitchen units need to be installed and sink/tap/hob/pop up sockets or extractor on site to allow our experienced templater to measure for worktops. 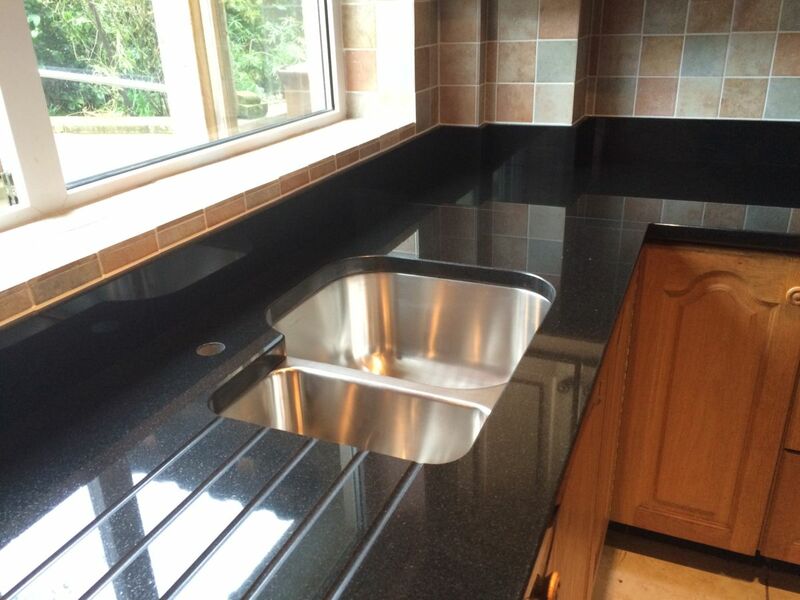 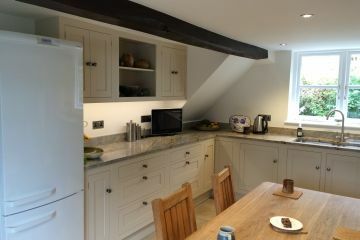 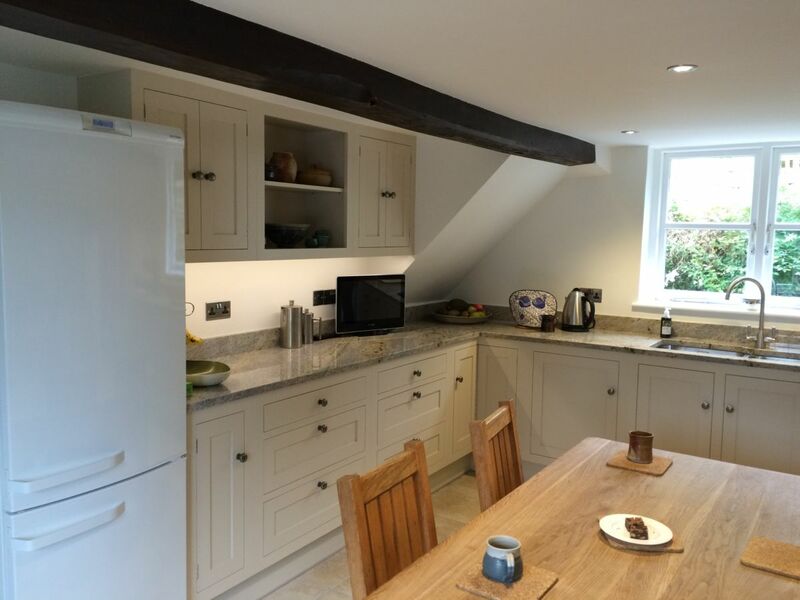 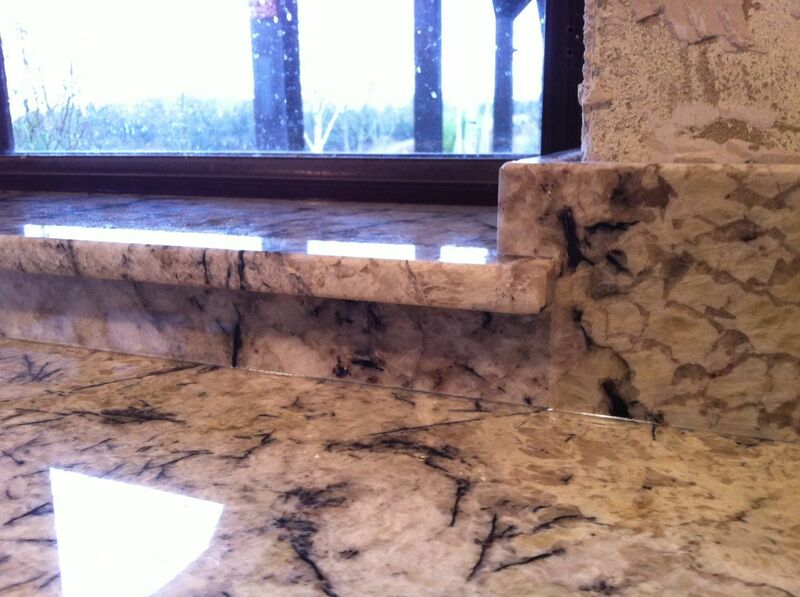 He can help with any material selection, edge mouldings, upstands, splashbacks and sills. 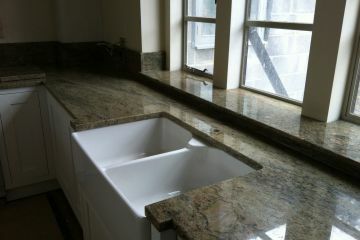 We will then email you a final cost prior to production. 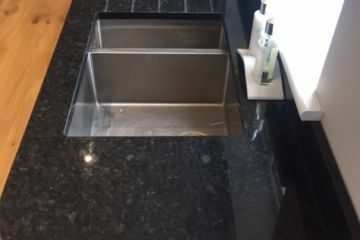 If you are replacing existing worktops, please ensure these are removed before we arrive on site to template unless we have arranged with you to carry out this work beforehand. 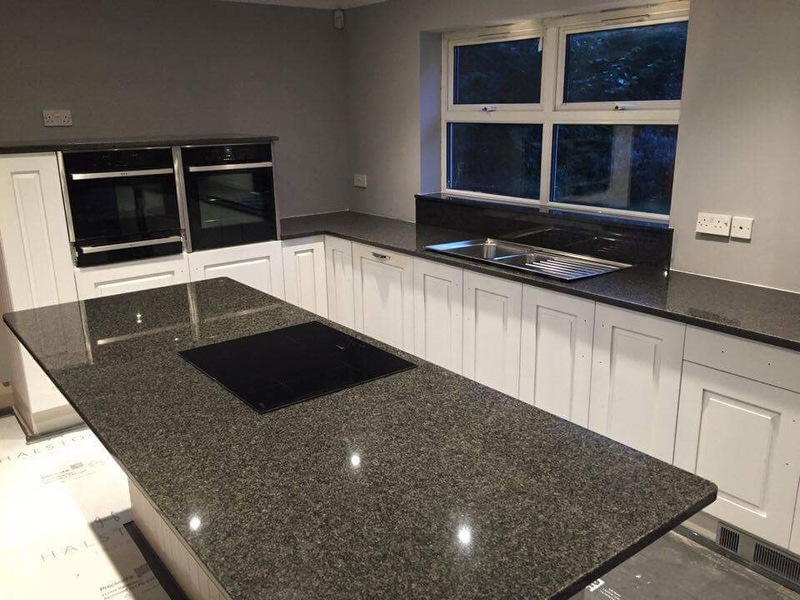 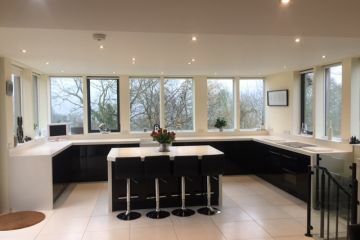 Fit: Our fitting team will return to fit your worktops the following week, headed by the person that originally measured the template. 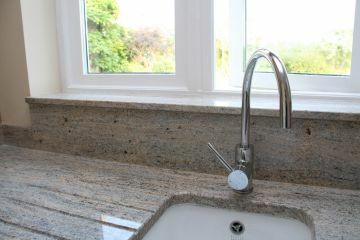 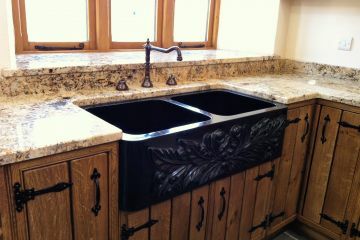 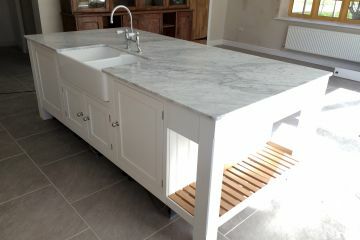 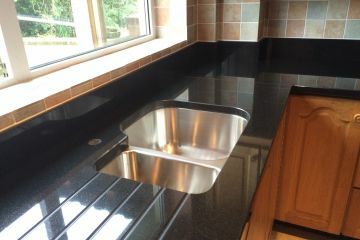 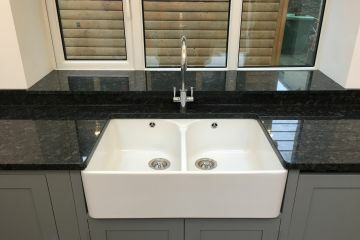 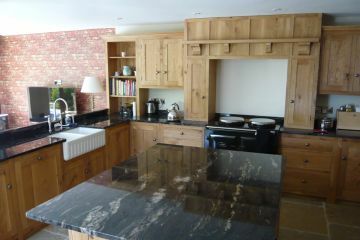 Again, the units need to be clear of any temporary work surface and the sink/tap/hob etc. 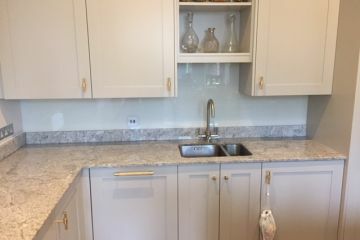 need to be on site but not connected. 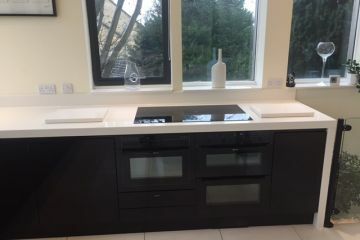 You will need to arrange for these appliances to be connected once we have completed the fit. 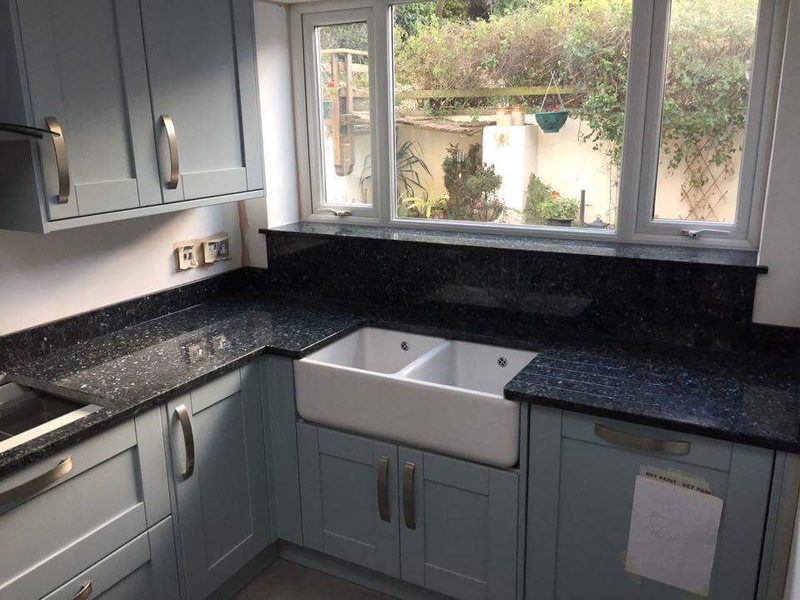 We can help with connection and disconnection of appliances and if you do not have a plumber to contact, simply speak to us about your requirements.